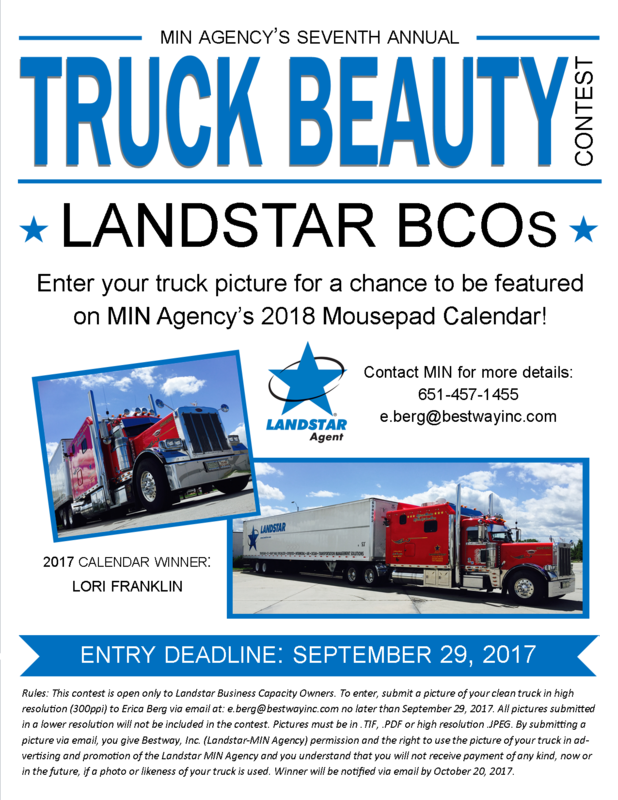 BCOs-- Enter your truck into this year's Truck Beauty Contest for a chance to be featured on the 2019 MIN Agency Mousepad Calendar. It's that time of year again! 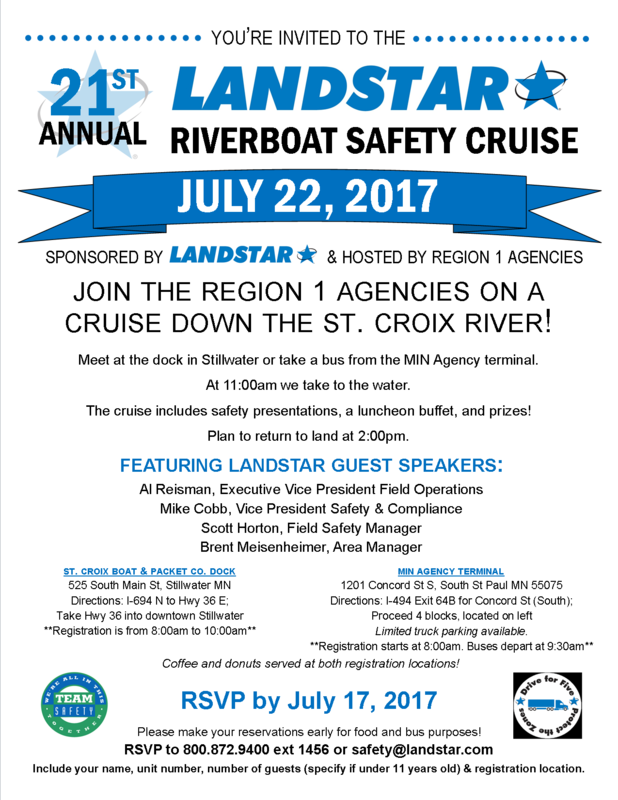 BCOs and Agents, join the Region 1 Agencies for the 22nd annual Riverboat Safety Cruise on Saturday, July 21st. Registration starts at 8:00am at both registration locations. If you come to the MIN terminal, be sure to arrive before the buses leave at 9:30am. Both locations will be serving donuts and refreshments for breakfast. The riverboat departs the dock in Stillwater at 11:00am. Safety topics will be discussed, lunch served, and prizes given away. Plan to return to land around 2:00pm. 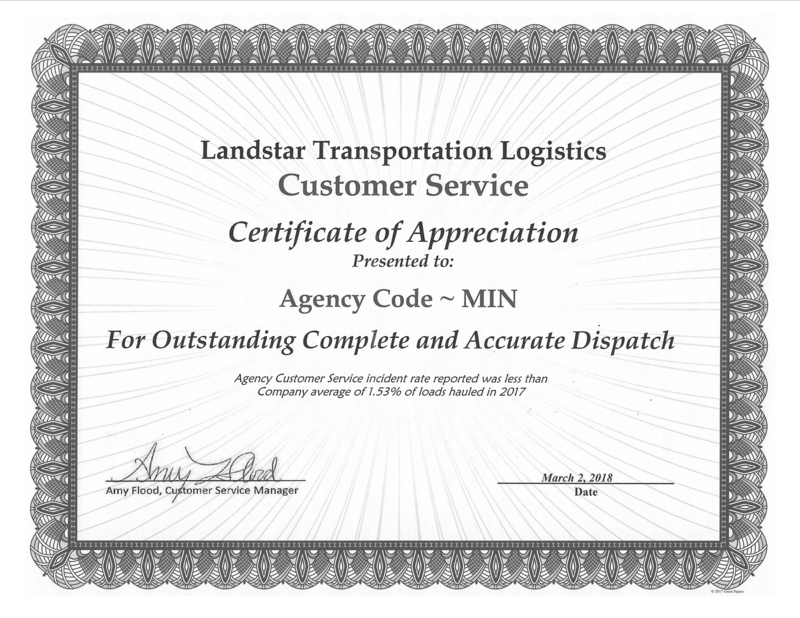 The MIN Agency received the Certificate of Appreciation for Complete and Accurate Dispatch in 2017. We strive to provide excellent service to our customers and the drivers we work with. We look forward to the rest of 2018! 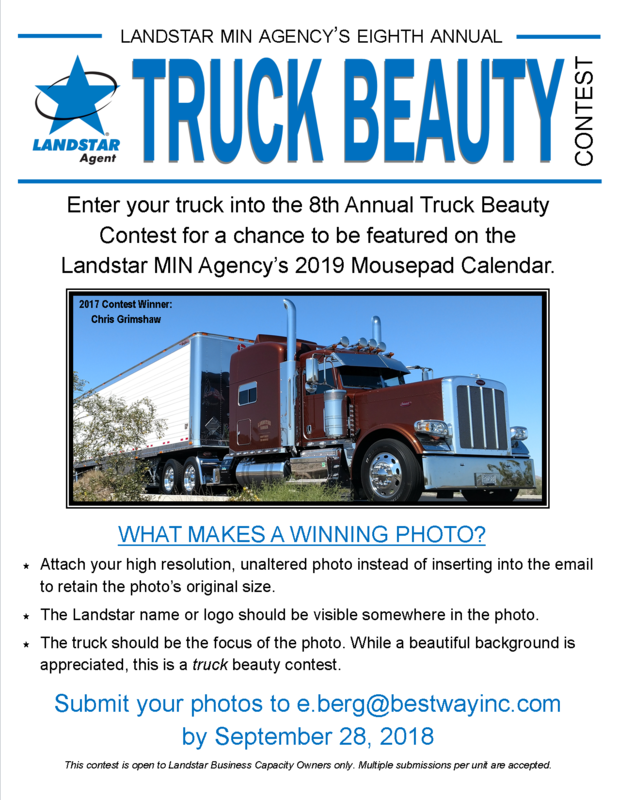 This year the MIN Agency is hosting their 7th Truck Beauty Contest. The winner of the contest gets their winning photo featured on our 2018 calendar. This calendar gets sent out to customers, Landstar corporate, and fellow BCOs. Enter your truck for a chance to win bragging rights and truck recognition amongst the industry! MIN nominated BCO Steve Hollis for the Star of Quality Award. Steve works as a dedicated driver on one of our accounts and does a wonderful job. He is the first to step up and take care of the customer, even when it’s not at his convenience. Steve is personable while remaining professional. He is a reliable driver who takes care of the customers and our customer’s customer. He is always a pleasure to work with and is a real ‘get the job done’ kind of guy. 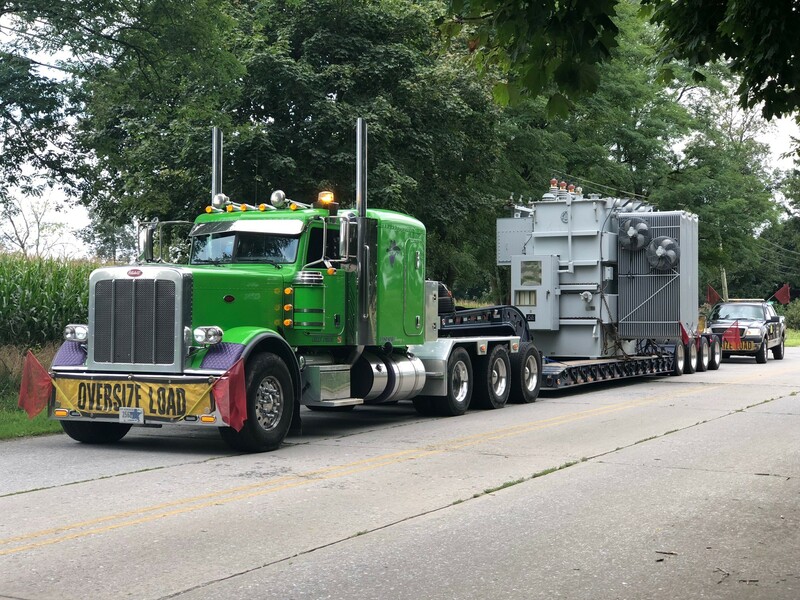 The winner of this year’s Truck Beauty Contest is Lori Franklin! Saturday, July 23rd was the 20th Annual Riverboat Safety Cruise. 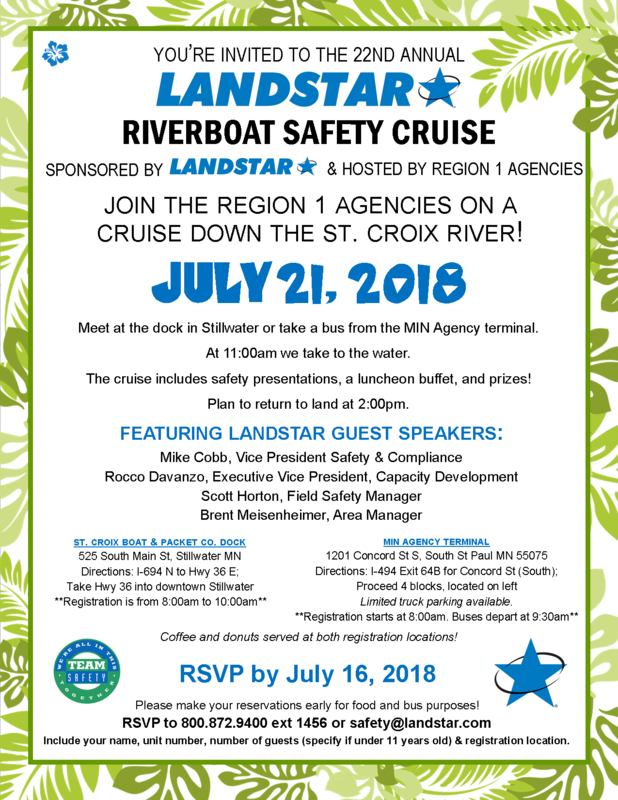 The event included presentations on current safety topics by multiple Landstar guest speakers, along with prizes donated by nine Region 1 agent sponsors, and three sets of steer tires from the Landstar Safety Department. To see photos of the event, visit our Landstar Agent MIN Facebook page.